My girl competed in her first gymnastics meet yesterday and brought home a medal. 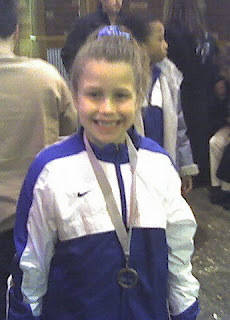 4th place vault. I alternately smiled and cried. She didn't sleep with it, but she did wear it to school today. 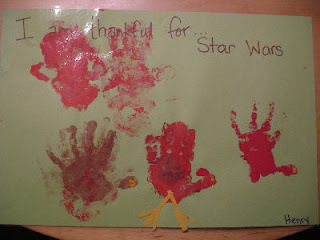 The other had a lovely Thanksgiving & is thankful for Star Wars, of course. I've been knitting secret projects. 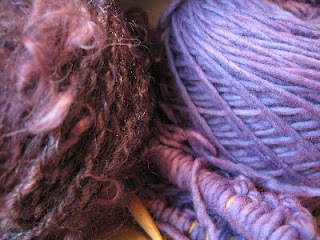 Here's the yarn for one that for Pippi's upcoming spinning book. Merino & Mohair locks. yummmmmmmmm. I've been spinning too, lime green alpaca blend, lofty goodness. No pictures yet. I love the pics!!! If I see Izzy today I will give her a big congrats hug- so happy for her. So glad you started writing again- missed your blog. P.S.- thanks for subscribing to mine!! You were my inspiration! 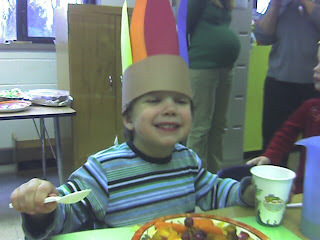 hooray for blog entries! and hooray for Isobel's gym meet! And hooray for Star Wars? Zoe is competing for the first time this year too, but our first meet isn't until January. I recently found out that it's ALL THE SAME SONG for the floor routines and imagining a day where you heard the same 40 second snippet of music ALL DAY LONG. Thank god for knitting. And ipods. I love the attachment to medals. This past summer Fiona won a medal at a library lego competition (best robot, preschool set--note: only robot entered in the preschool set...) and today when I left the keys in the front door--because that's just the state of my brain lately--and the kids started worrying that someone could have come in and taken stuff, she said she was sure they wanted her medal. Because that medal is definitely more tempting to a robber than the TV set.